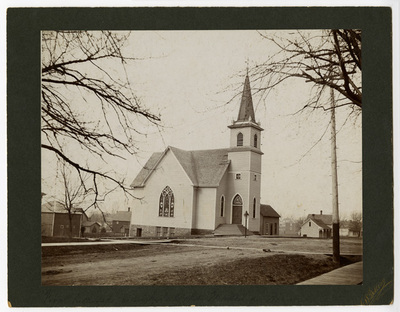 "First Lutheran Church, Madelia, Minnesota"
Exterior view of early church building. Noted on back, "Faith Lutheran Church (1962, has this name). Merged with Lincoln Lutheran to become Faith Lutheran".